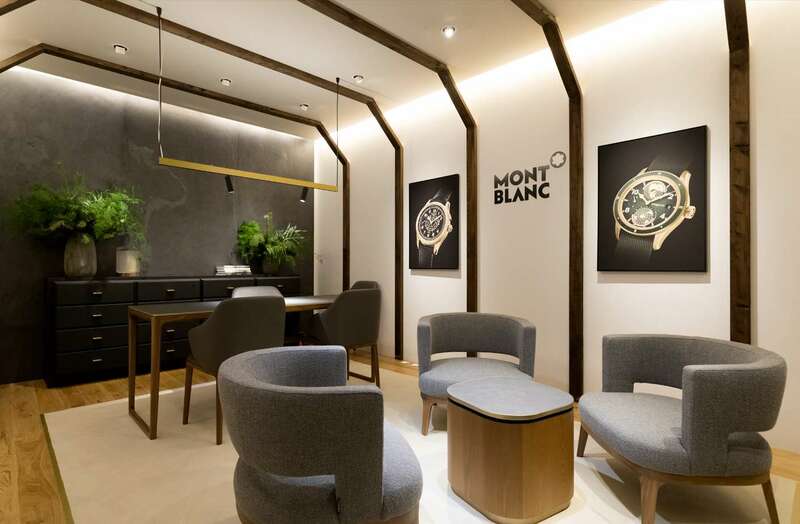 Every year during Salon International de la Haute Horlogerie, Montblanc present their latest watch collections. 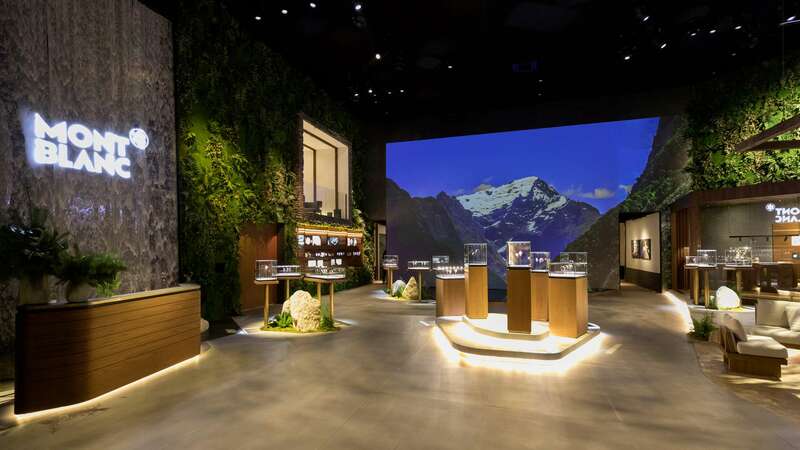 For the 4th scenography on SIHH Fair for Montblanc, Studio Jean-Marc Gady pays homage to the spirit of exploration and the rich tradition of the Minerva manufacture with a space dedicated to the wonder and beauty of the great outdoors. 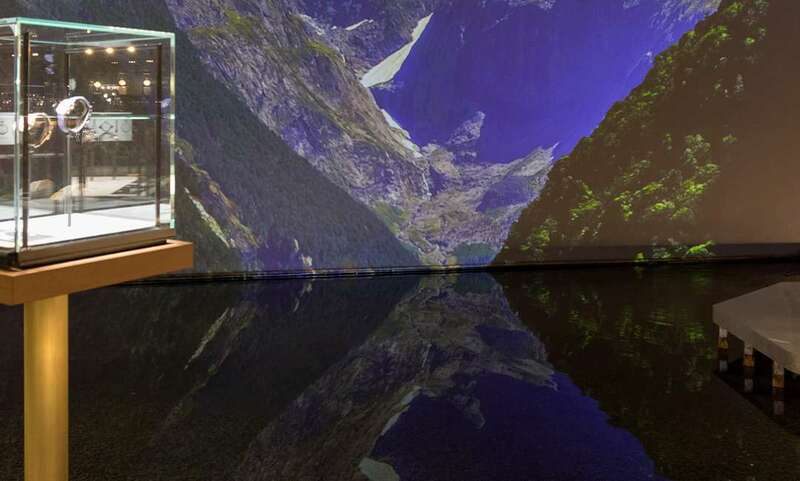 Visitors are transported to a lush expanse surrounded by breathtaking views of mountains and valleys. 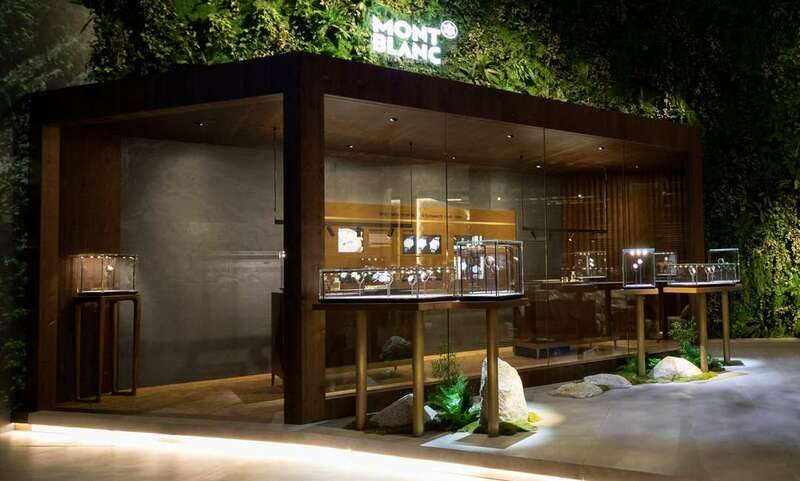 As soon as they enter the lobby, visitors are instantly immersed in the world of Montblanc’s latest watch collections. 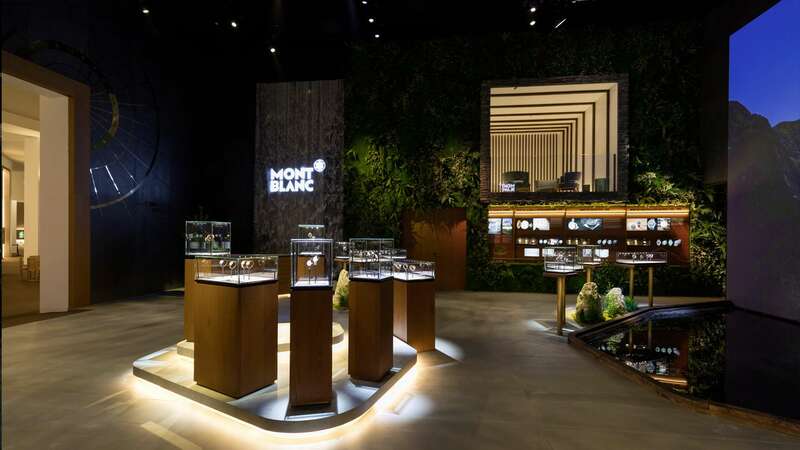 Pairing khaki and bronze with great elegance, the new timepieces were presented in glass, wood and aged-brass display cases laid out around a central space. 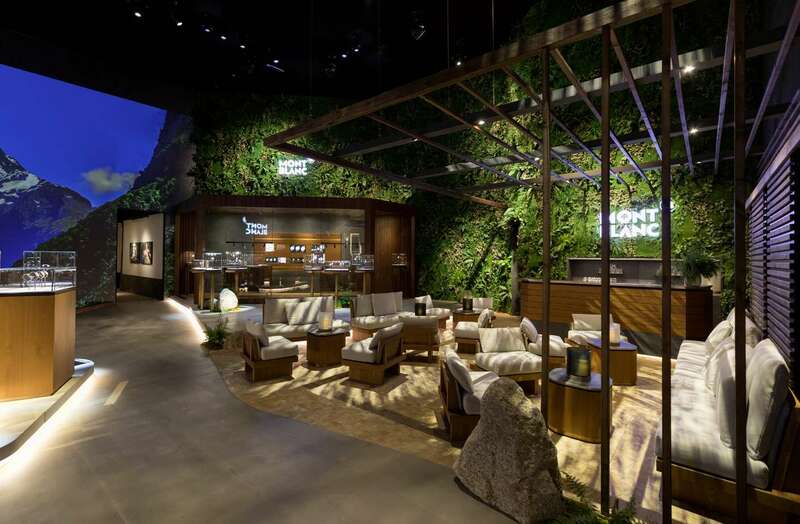 Plant-laden walls framed wooden seats that invited visitors to soak up the calm and serenity of the space, enhanced by the mist of a waterfall. A majestic mountain reflects in a lake below. Covering one of the walls, a timeline illustrates the major milestones in the history of Minerva. 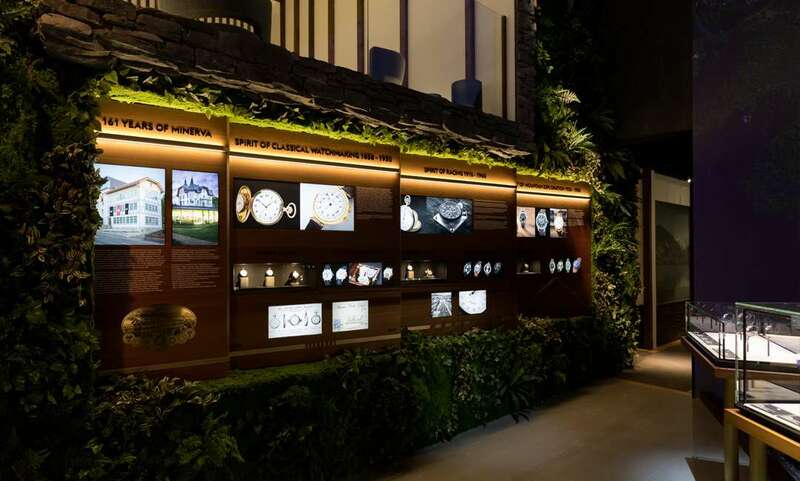 The House's watchmakers present the know-how behind the creation of each timepiece.